This vegetarian twist on a classic pasta dish is the perfect comfort food! 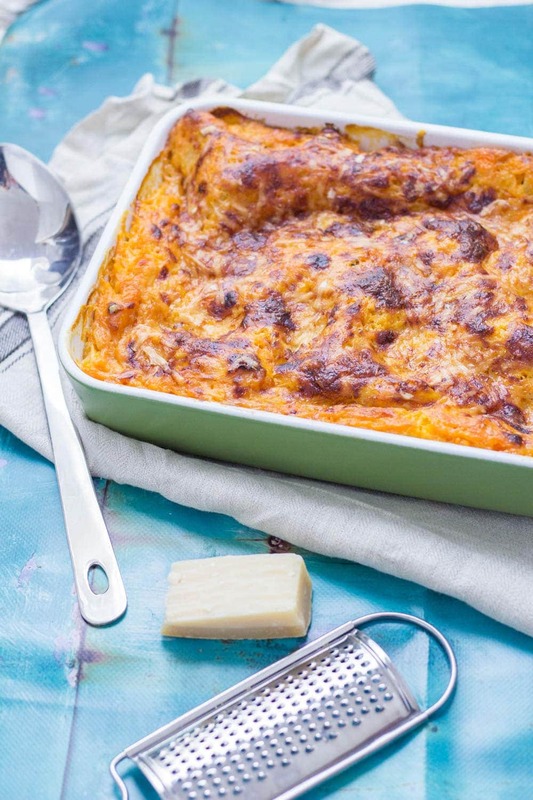 This four cheese butternut squash lasagne is layered with spinach and mushrooms. I first published this recipe for four cheese butternut squash lasagne with spinach in February 2016 and I’ve now updated it with new photos. Keep a look out for more updated recipes on The Cook Report coming soon! So, I’ll admit this lasagne is a bit of a labour of love. There’s quite a bit of prep that needs doing before you can assemble the lasagne but it is totally worth it. But if you’re looking for a quick and easy option then check out this one pot vegetarian lasagne instead! I obviously decided to make this on a weeknight which I only regretted a tiny bit and had fully gotten over by the time I’d taken my first bite of cheesey pasta laden goodness. Will got back late and polished off two servings which was the final seal of approval. Win. Start off with a butternut squash chopped into small chunks and baked until soft. Cook up some mushrooms and spinach and mix the spinach with ricotta and salt and pepper. 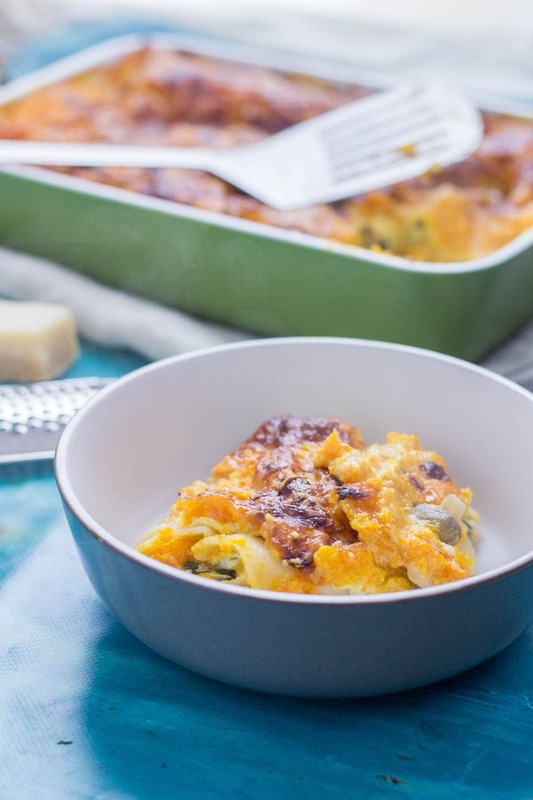 The squash goes into a creamy sauce with a little nutmeg and then it’s all layered into a baking dish with mozzarella and topped with cheddar and parmesan. This recipe makes enough for six big servings. We’ll be taking this for lunch and freezing some for another night which I’m pretty excited for. One of my favourite things is getting to relive a delicious meal a few weeks after I originally ate it. 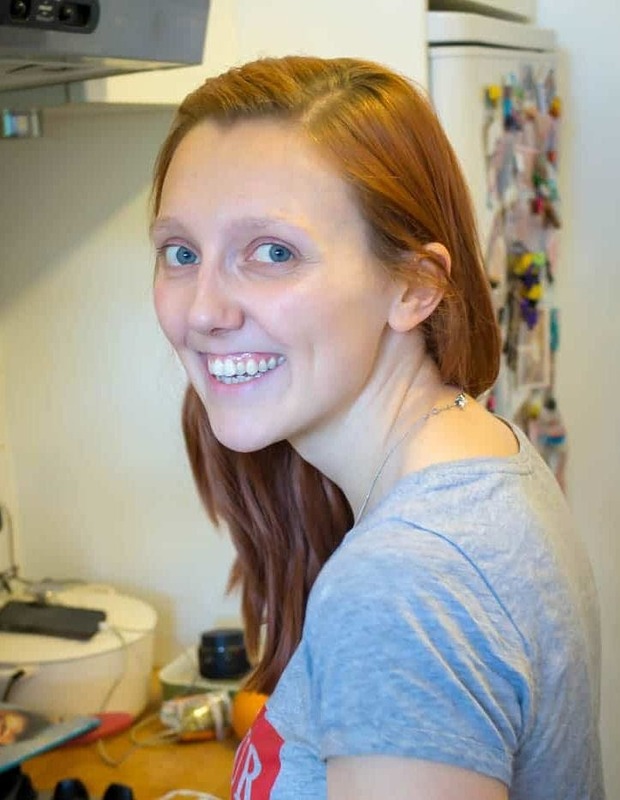 How do you feel about meal prep? Since we’ve been training for a half marathon next year (kill me now) and going out for runs after work I’ve been trying to meal prep at least one thing at the weekend so that we have dinner ready for when we get back. I’ve been really enjoying having that meal prepped, it’s made my life a lot easier. 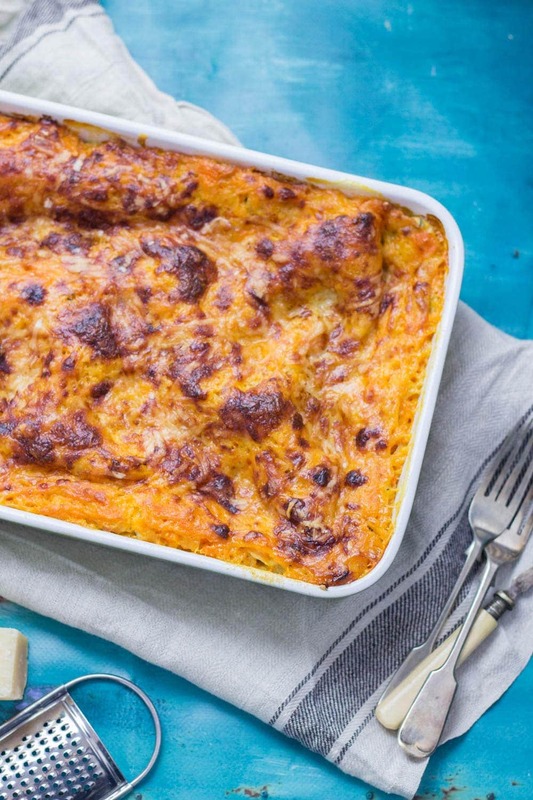 This butternut squash lasagne is perfect for meal prep! Don’t miss all my other pasta recipes! 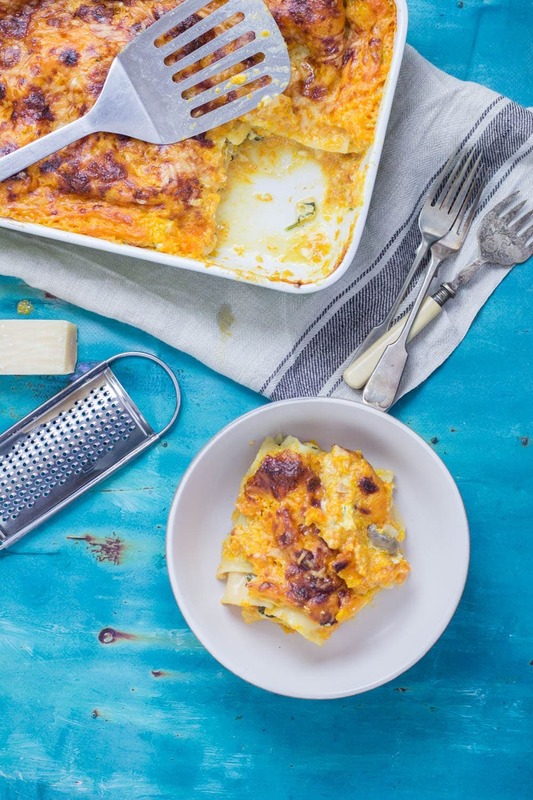 WONDERING WHAT TO DO WITH THE LEFTOVER INGREDIENTS YOU’VE GOT ONCE YOU’VE MADE THIS FOUR CHEESE BUTTERNUT SQUASH LASAGNE WITH SPINACH? Preheat the oven to 200°C. Chop the butternut squash into small pieces. Place on a baking tray with some olive oil and salt and pepper and place in the oven for about 30 minutes or until it's soft enough to mash with a fork. While the squash is cooking heat a tablespoon of oil over a medium heat and add the mushrooms. Cook for 5 minutes until they're soft then remove them from the pan and set aside. Add the spinach. Wait for another 5 minutes for the spinach to wilt and then tip into a bowl and mix with the ricotta and a little salt and pepper. Set aside. In the same pan heat a little more olive oil with the butter. Add the onions and garlic and allow to soften for a few minutes. Tip in the flour and then whisk for a few minutes. Add the milk and bring to the boil, add the nutmeg, then allow to thicken. Once you've taken the butternut squash out of the oven, mash it with a fork. When the sauce has thickened add the mashed butternut squash and mix thoroughly. Turn the oven down to 180°C. Now you're ready to assemble your lasagne! Spread a little of the butternut squash sauce at the bottom of your baking dish then add a layer of lasagne sheets followed by some spinach and ricotta, mushrooms, mozzarella, more sauce and lasagne sheets. Repeat the process until you've used up all the ingredients. I got three layers out of the ingredients. Make sure you leave enough sauce to cover the top of the lasagne then sprinkle on a final layer of mozzarella, the cheddar and parmesan. Put the lasagne in the oven and bake for 20 minutes then switch to grill and leave until the top is lovely and brown. Lasagna in my opinion is always worth making.. If I were going to make it through the week though I’d definitely have to be super prepared. It looks like it turned out perfectly, by the way. 🙂 I may try this recipe soon. 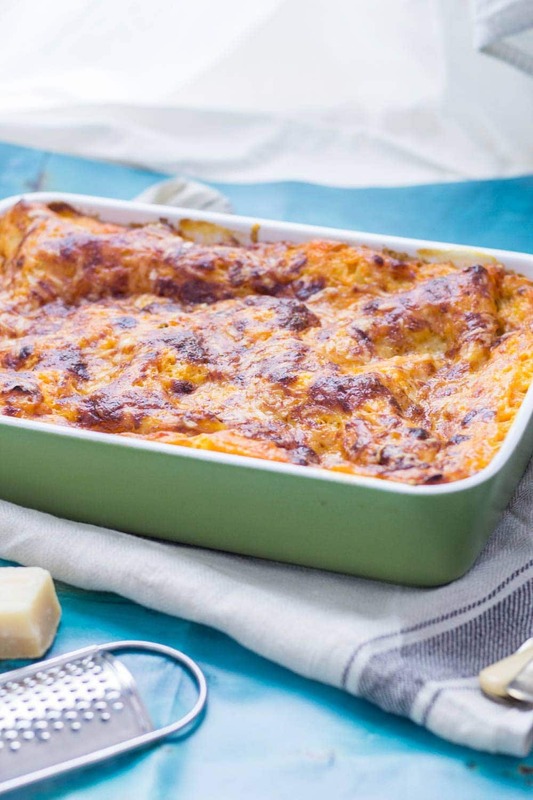 I love butternut squash in a lasagna, it adds so much creaminess. I love how much cheese you have put in to this too. This so looks worth the extra effort! 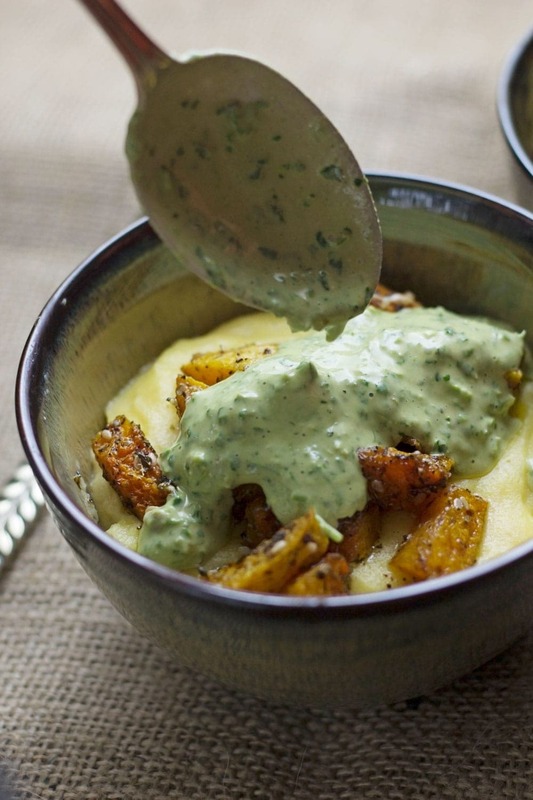 I’m loving butternut squash anything at the moment and this is right up my street. 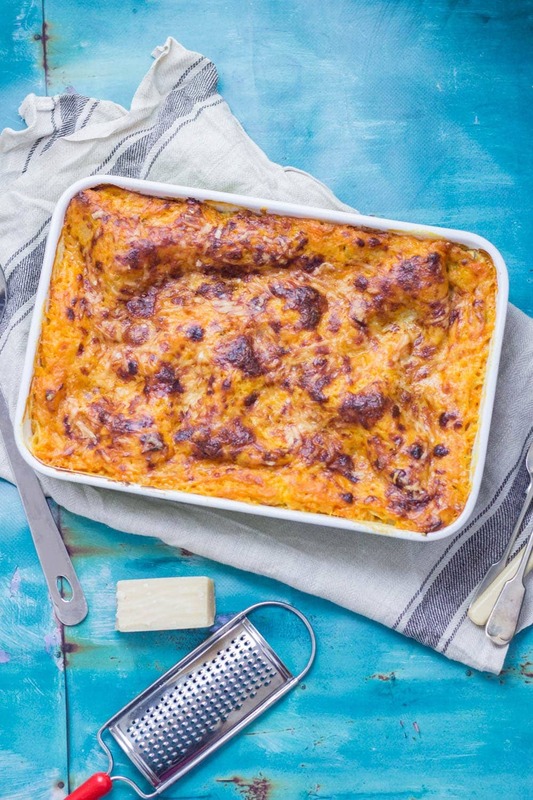 So many wonderful flavours; I just love this twist on lasagne! This is an epic lasagna — and would be absolutely be perfect for a meatless monday! 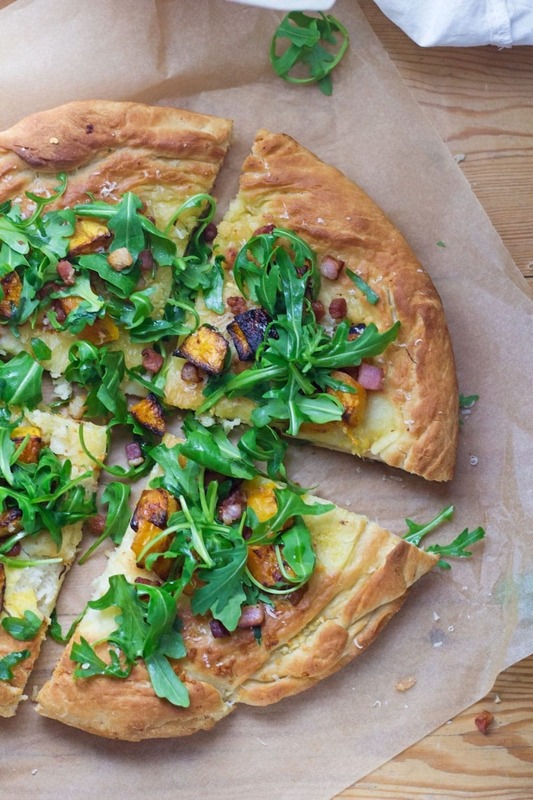 Well I love CHEESE, PASTA and SQUASH….so this is a winner for sure. Looks like the perfect comfort food for the cold winter months. Boy does this look good! I LOVE butternut squash soup, and I love lasagna so I am sure I would be into this. Trying to imagine the cheese in the mix. I so want to try this! !